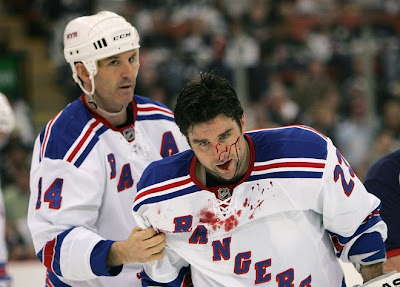 As of yet I have no words for the final game of the season for the Rangers - we were beat, fair & square, and it was definitely a physical matchup, but perhaps some pictures will illustrate how Rangers fans are thinking of the referees in this series. Most questionable was the OT winning-goal by Pittsburgh's Marian Hossa, which on second look was 100% off-sides!!!! Gary Bettman of the NHL is certainly happy that his 'Kid Wonder' is moving forward in the series. Nothing like a little picture-book of good 'ole fashioned hockey - take a look below: no calls against Pittsburgh, and not even a 4-minute major for slashing Chris Drury. 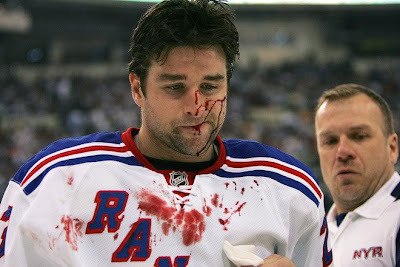 I know, I know..."poor baby Rangers cannot take a beating..." That's right, Penguins -- wait until the finals -- LET'S GO FLYERS!!!! You will see it back in spades. Sidney the Diver doesn't have much to look forward to in this revived PHILLY Flyer squad next week. It's going to be ugly and that will be part of the Rangers' redemption. Curious to see how the refs will handle one of the most "in-season PA rivalries" as the conference final. ....despite our loss, this match is going to be bloody as it was during the season. Unfortunately, the NHL has never been known to be proactive. It took the league 10 years to realize that the "trap" was ruining our sport. Many of yesterday's superstars (Gretzky, Lemieux, Jagr, etc...) were complaining for years about interference before the NHL woke up. I'm sure we'll see the same pattern with the officiating. Unfortunately, it's probably going to take some highly publicized and embarrasing debacle for the league to take the hard steps necessary to restore credibility to the on-ice officiating. I wouldn't be the least bit surprised to see the Stanley Cup won/lost because of a bad call. 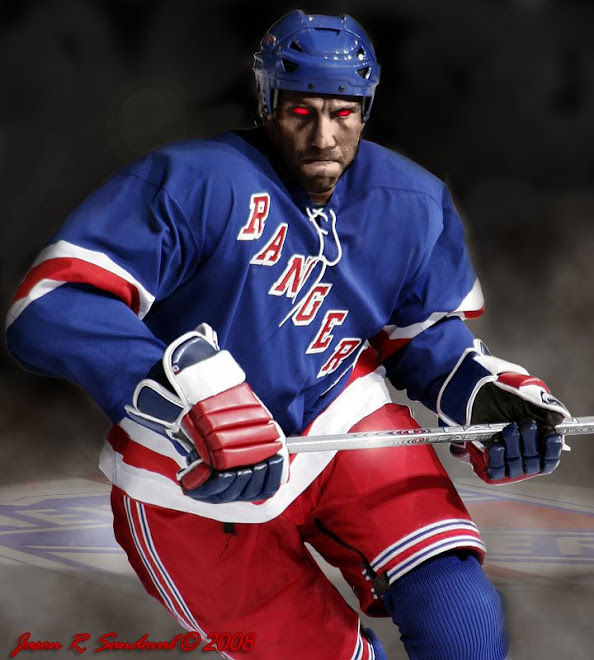 That being said, the Rangers weren't eliminated because of bad officiating. We lost because too many of our best players didn't play their best hockey.